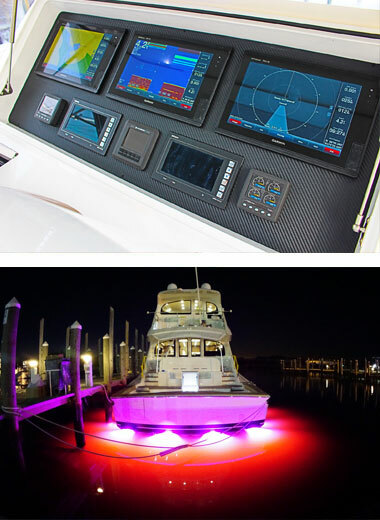 Atlantic Marine Electronics provides opportunities for employees to demonstrate their technical abilities in the areas of navigation, communication and entertainment design, installation and service solutions on yachts by performing professional installations and service support for yacht electronics. Along with competitive pay and excellent benefits, our employees enjoy a safe, positive work environment and optimal work hours of 7am – 3:30pm, Mon – Fri.
Marine trade skill, training or education are preferred but not required to apply. Benefits Include: Paid holidays, paid vacation, medical, prescription, dental, vision, company paid life insurance, 401k with match, voluntary insurance options, plus much more! Viking Yacht Company FLORIDA is always seeking outstanding people to join our Atlantic Marine Electronics team. Join the Viking Yacht Company FLORIDA Talent Network today to stay up-to-date on our current openings for jobs as they become available! We currently do not have any openings for Atlantic Marine Electronics at Viking Yacht Company FLORIDA. If you join our Talent Network, we will email you as soon as similar jobs become available.